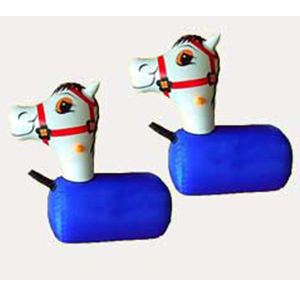 Our PONY HOPS are a great add on to any rental. You’ve seen them at half time shows in the NBA & MLB, now you can have them at your own party. Participants race against each other in a fun and safe way. We have 3 large pony hops that can hold up to 500 lbs.